I am a deeply impatient person. 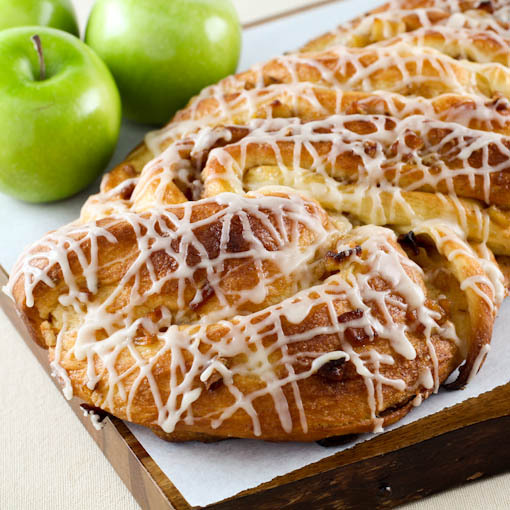 If you are looking at this bread and seeing the sweet icing and thinking, “A HUGE cinnamon roll!” think again. 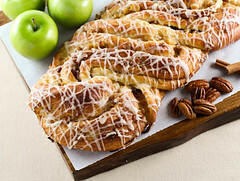 This is more cinnamon bread than sweet roll, which means you can feel free to slather slices of this bread with butter and jam for breakfast. It is, of course, lovely on its own. This is a modified brioche style bread, meaning there is a fair amount of butter and I add it in piece by piece after the initial dough has formed. 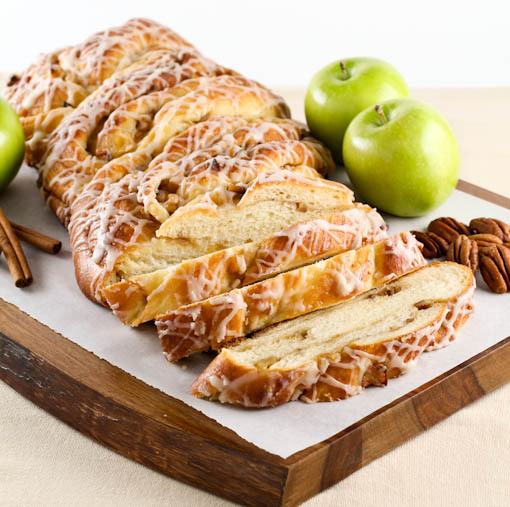 This leads to a rich bread that is lightly sweet and filled with swirls of cinnamon, tender apple, and toasty pecan. If you prefer you can use any fruit or nuts you like. Raisins, walnuts, apricots, and almonds all come to mind and would be lovely. 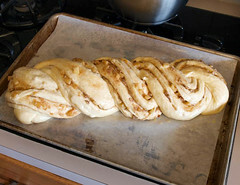 To make this bread look very fancy I rolled the dough like you would for a cinnamon roll and then sliced that long tube in half lengthwise and simply twisted the strands to form a large loaf. It looks like you have done something terribly complex, but it is so easy! This bread keeps quite nicely for two days if wrapped well in plastic, and left overs would make a really nice bread pudding! Just saying! Begin by preparing the bread dough. 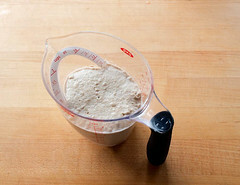 In a small bowl or measuring cup, combine the warm milk, yeast, and sugar. Mix well and let stand at room temperature until the mixture is foamy and bubbling, about 10 minutes. 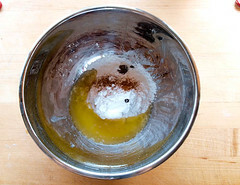 In the work bowl of a stand mixer fitted with the dough hook combine the yeast mixture with the buttermilk, eggs, salt and flour. Mix on low speed for 3 minutes then check the hydration of the dough. 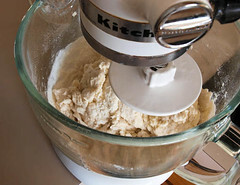 Add additional flour a tablespoon at a time, if needed, until the dough starts to clump around the hook. The dough may be sticky, that is fine, but it should not we wet. 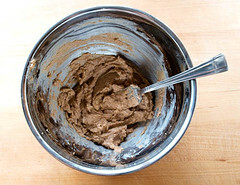 Cover the mixer with plastic and let the dough stand for 20 minutes, then uncover the dough and mix on medium speed for 5 minutes. 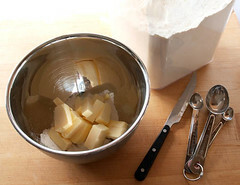 While the dough is mixing combine the butter with the 1 tablespoon of flour and coat well. Once the 5 minutes has passed lower the speed to medium low and begin adding the butter, a tablespoon at a time, until the butter is fully incorporated, about 5 minutes more. Turn the dough out onto a lightly floured surface and shape into a smooth ball. 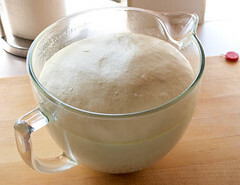 Place the dough into a lightly greased bowl, cover with plastic, and ferment for 2 hours, or until the dough is doubled in bulk. While the dough is fermenting prepare the filling. 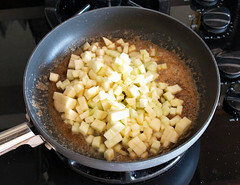 Peel, core and dice the apples then place them into a medium skillet over medium heat along with the 2 tablespoons of butter and 2 tablespoons of brown sugar. 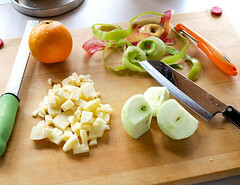 Cook, stirring often, until the apples are tender, about 3 minutes. 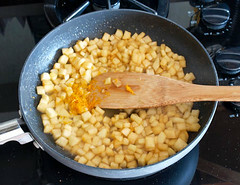 Add the cinnamon, orange juice, and orange zest and cook for 2-3 minutes more, or until the juice has thickened and the apples are not wet. Cool to room temperature. In a small bowl combine the 6 tablespoons of butter, 4 tablespoons brown sugar, and ½ teaspoon of cinnamon until well combined. Set aside. 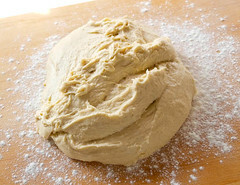 Once the dough has risen turn it out onto a lightly floured surface and divide the dough in half. 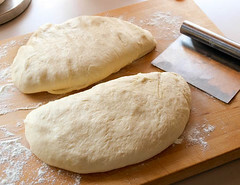 Gently shape each half into an oval by folding the dough into thirds like a letter. Cover and let rest for 10 minutes. 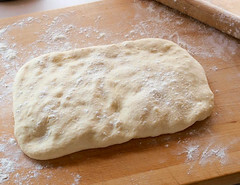 Working with one half of the dough at a time on a well floured surface, roll the dough into a rectangle that is approximately 12 by 18 inches. 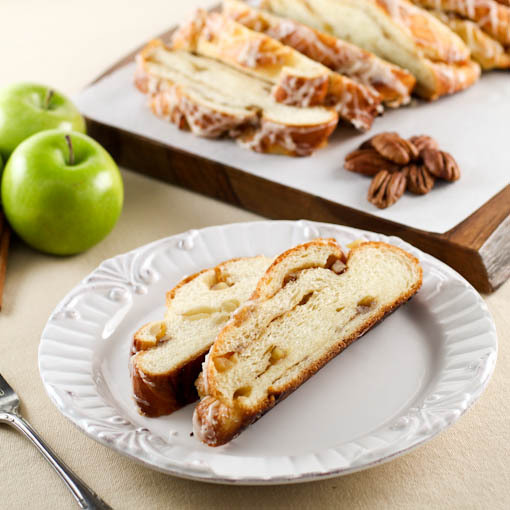 Spread half the butter mixture onto the dough, sprinkle half the apple mixture evenly over the dough, and finally evenly spread half the pecans over the top. 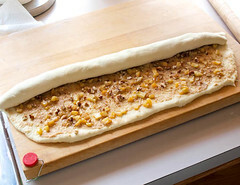 Gently roll the long edge of the dough in to form a long tube and pinch the seam to seal. 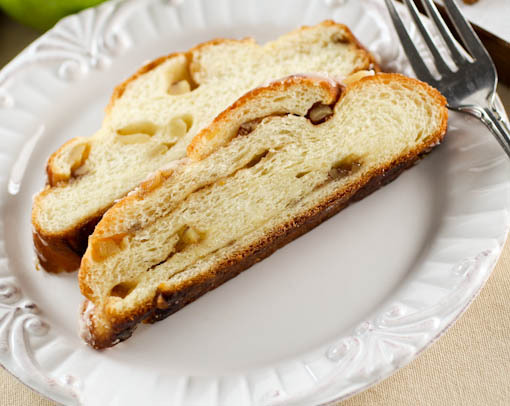 With a very sharp knife cut the dough in half lengthwise. 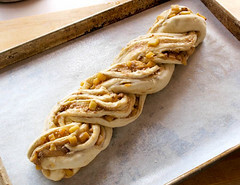 Pinch one end of the dough together then carefully twist the dough so the cut side faces up. 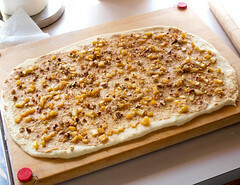 Pinch the bottom end together and transfer the dough to a baking sheet lined with parchment paper. 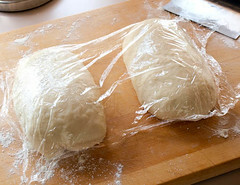 Cover with plastic and allow to rise until double in size, about 1½ hours. One the dough has risen carefully brush it with beaten egg and then bake for 35 to 40 minutes, covering the bread with foil after about 20 minutes to prevent over-browning. The bread is done with it sounds follow when gently thumped on the side and the internal temperature reaches 200 F.
Remove the bread from the oven and allow to cool for 20 minutes. While the bread cools prepare the glaze. 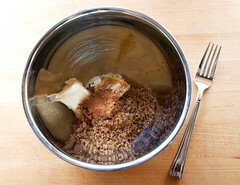 In a small bowl combine the powdered sugar, butter, milk, vanilla bean paste, and cinnamon. Whisk until smooth. Add additional milk a teaspoon at a time if the glaze is too thick to easily drizzle. 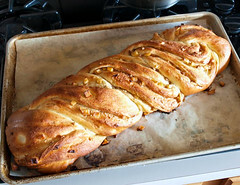 Once the bread has cooled for 20 minutes drizzle or spread the glaze over the bread. Let stand for at least 30 minutes more before slicing and serving.